VP Grant Minnes graduated from the Engineering /Mathematics program at Queen’s University in 1984. After taking a year off to travel, he was hired at Dowty Equipment of Canada Ltd. (DECL) in 1985 as a landing gear performance engineer. His first assignment was to develop models to determine landing gear loads for the novel V-22 tilt-rotor aircraft being developed by Bell-Boeing and to correlate these models through in-house testing. He continued in this role for many years which provided the opportunity to work directly with the airframe manufacturer on various programs including the Global Express (Bombardier), DHC-8 (DeHavilland), A340 (Airbus) and F/A-18 E/F (McDonnell-Douglas). DECL has grown and merged over the years and is now known as Messier-Bugatti-Dowty (MBD), a fully owned subsidiary of the SAFRAN group based in France. During this time, Grant held a variety of positions including work as a Performance Engineer in the UK (Airbus 340), the first R&T Manager in Toronto, Program Chief Engineer (PCE) in France (Airbus A320) and PCE in Toronto (Boeing 787). Grant is currently the Vice-President of Systems and Testing. Based in Toronto, he now oversees a team of 110 engineers situated on sites in Canada, the UK and France. VP Eric Choi has held positions of increasing managerial and technical responsibility in both the space and aviation sectors in the United States and Canada, including periods at NASA and the Canadian Space Agency. Over his career he has worked on a number of innovative space programs including the Phoenix Mars Lander meteorology payload, the Canadian robotics on the International Space Station, the RADARSAT-1 satellite and the MOPITT instrument on the Terra satellite. He holds a bachelor’s degree in engineering science and a master’s degree in aerospace engineering, both from the University of Toronto, and an MBA from York University. Dr. Hugh H.T. Liu is a full professor at the University of Toronto Institue for Aerospace Studies (UTIAS) Toronto, Canada, where he also serves as the Associate Director, Graduate Studies. His research work over the past several years has included a number of aircraft systems and control related areas, and he leads the “Flight Systems and Control” (FSC) Research Laboratory. Dr. Liu is an internationally leading researcher in the area of aircraft systems and control. He has published over 100 technical papers in peer reviewed journals and conference proceedings, and he has received one US/Canada patent of his work on motion synchronization. Dr. Liu has made significant research contributions in autonomous unmanned systems development, cooperative control, and integrated modeling and simulation. He also serves on editorial boards (CASJ, IJSMSC, IEEE-CSS) and technical committees of international professional societies. Before his academic appointment, Dr. Liu has several years’ industrial experience where he participated and led development projects of aircraft environmental control systems. Dr. Liu received his Ph.D. in mechanical engineering of the University of Toronto in 1998. He is a Fellow of CSME, an Associate Fellow of AIAA and active member of IEEE and CASI. Dr. Liu is also a registered Professional Engineer in Ontario.Dr. Hugh H.T. Liu is a professor at the University of Toronto Institute for Aerospace Studies (UTIAS), Toronto, Canada. His research work over the past several years has included a number of aircraft systems and control related areas. He has published over 100 technical papers in peer reviewed journals and conference proceedings, and he has received one US/Canada patent of his work on motion synchronization. Dr. Liu has made significant research contributions in autonomous unmanned systems development, cooperative control, and integrated modeling and simulation. He also serves on editorial and technical committees of international professional societies. Dr. Liu received his Ph.D. in mechanical engineering of the University of Toronto in 1998. He is a Fellow of CSME, an Associate Fellow of AIAA and active member of IEEE and CASI. Dr. Liu is also a registered Professional Engineer in Ontario. Dr. Brian Eggleston‘s lifelong interest is in creating new aircraft designs and undertaking research on aircraft aerodynamics and propulsion systems integration.Before moving to Canada to work for De Havilland, Brian started his career in the U.K. industry with A.V. Roe and completed degrees in Aeronautical Engineering at Bristol and Aircraft Design at Cranfield. He held increasingly senior roles in Engineering at De Havilland Canada before becoming Director of Technology and Research and then Director of Strategic Technology at Bombardier Aerospace Group in 1996.In the last 10 years Brian has continued to work as a consultant on new aircraft and also on the design of unmanned aircraft concepts leading to the TD100 as well as research with Brican Automated Systems. He has also published several research papers on new aerodynamic concepts for low Reynolds number flight. Brian is a Professional Engineer and a Fellow of the Canadian Aeronautics and Space Institute. Alana Bartolini received her BHSc from McMaster University in 2012. In the same year, she was selected as the Canadian delegate for the NASA Academy program at NASA Ames Research Center where she researched the effects of microgravity and radiation environments on bone degradation. She went on to work at NASA Ames in the Bone and Signaling Laboratory and staff the 2013 NASA Ames Space and Aeronautics Academies. In 2014, Alana participated in the International Space University’s Space Studies Program, completing research in the Human Performance in Space department and the Exoplanets team project. She is currently pursuing her MSc at the University of Toronto with the Toronto Rehabilitation Institute. Her research focuses on multimodal learning and behavioural adaptation in automated vehicle systems using virtual reality simulation. Dr. Anton de Ruiter received the BE degree in Mechanical Engineering from the University of Canterbury in 1999, and the MASc and PhD degrees in aerospace engineering from the University of Toronto in 2001 and 2005, respectively. Between 2006 and 2008 he was a visiting research fellow at the Canadian Space Agency in Montreal, and an assistant professor in the department of Mechanical and Aerospace Engineering at Carleton University from 2009 to 2012. He is currently an Assistant Professor at the department of Aerospace Engineering at Ryerson University in Toronto, Canada. His research interests are in the area of guidance, navigation and control of aerospace systems. Farnaz Ghadaki is a management consultant and Conference Chair of International Space Development Conference (ISDC) 2015. She’s on the board of directors at the Canadian Space Commerce Association (CSCA), Vice-President of Space Tourism Society (STS) Canada, and Treasurer at the Canadian Alumni for the International Space University (CAISU). Farnaz has held multi-disciplinary roles in a variety of industries including space, telecommunications, wireless, and electronic manufacturing. Her expertise include strategic marketing, public relations, event management, business development and product lifecycle management. She is a member of the International Astronautical Federation (IAF), has authored several published papers, and has been a speaker at various conferences. Farnaz completed a Graduate Studies Program at Singularity University (SU), a masters-level studies program at the International Space University (ISU), holds certificates in Project Management as well as Entrepreneurship & Small Business, and a BASc in Computer Engineering from the University of Toronto. Dr. Gordon Shepherd Distinguished Research Professor Emeritus, was Principal Investigator for Canada’s WIND Imaging Interferometer (WINDII) that flew on NASA’s Upper Atmosphere Research Satellite from 1991 to 2003. He began his career by studying the aurora borealis from the ground, with rockets launched from Northern Canada, and later with the ISIS-II satellite. He has spent much of his career developing methods for observing the Earth’s atmosphere remotely from space, and is author of Spectral Imaging of the Atmosphere which discusses these methods and co-author of Canada’s Fifty Years in Space. He is Fellow of the Royal Society of Canada, of the American Geophysical Union. He received the Alouette Award from the Canadian Aeronautical and Space Institute and the John H. Chapman Award of Excellence by the Canadian Space Agency. Very recently he was given the first Distinguished Scientist Award by the Scientific Committee for Solar Terrestrial Physics (SCOSTEP), at a meeting in Xi’an, China. 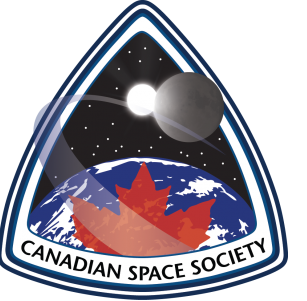 Haroon B. Oqab serves as a Chairman of the Canadian Space Society Toronto Chapter. He is a graduate of The University of Western Ontario and has been conferred with masters degrees in Mechanical and Material Engineering (Automation Technologies and Systems), and Electrical and Computer Engineering (Robotics and Control), as well as bachelors degrees in Medical Biophysics and Kinesiology, both honours specializations.Inspired by the Canadian contributions to human space exploration, the achievements of Project Apollo and the possibilities brought forth by the accomplishments of the interstellar Voyager spacecrafts, Haroon is interested in fully integrated spacecraft design with a particular focus on propulsion engineering, development of infrastructure supporting an interplanetary civilization, and advancement of technology for deep space exploration beyond the solar system. Dr. Inna Sharf is currently a full professor in the Department of Mechanical Engineering at McGill University, Montreal, Canada. She received her B.A.Sc. in Engineering Science, specializing in Aerospace option, from the University of Toronto (1986). She completed her PhD at the Institute for Aerospace Studies, University of Toronto and in January 1991, joined the Department of Mechanical Engineering at the University of Victoria (UVic) as an Assistant Professor and holder of the NSERC’s Women’s Faculty Award. Sharf’s research activities at that time were focused on the dynamics and modeling of flexible space manipulators, such as Canadarm. In the ten years at UVic, she collaborated with several local industries and, most notably, with MDA (former Spar Aerospace). The latter collaboration resulted in a multi-year research program funded by MDA, the Canadian Space Agency (CSA) and NSERC on problems related to contact dynamics in space robotic applications. In 2001, Sharf left University of Victoria to relocate to Montreal where she took up a position as Associate Professor at McGill. Re-energized by the move and motivated by the international efforts in the area of on-orbit servicing of satellites and space debris removal, Sharf started the construction of a unique facility for studying robotic grasping of satellites and debris in space. This facility, later grew into the Aerospace Mechatronics laboratory which also supports Sharf’s research in the area of dynamics and control unmanned aerial vehicles (UAVs).Since its inception in 2003, the Aerospace Mechatronics Laboratory has supported the research of numerous graduate students, visiting trainees and undergraduate students. Sharf is presently participating in the NSERC Canadian Field Robotics Network, as a principal investigator in the group of 11 co-applicants from 8 Canadian Universities. Her contribution to this five-year initiative is to further develop autonomy for small rotary UAVs. Sharf has published over 100 conference and journal papers on her academic research. As an educator, Sharf has contributed to educating mechanical engineering students and researchers for the past 23 years, at all levels of training, from undergraduates to postdoctoral fellows. She teaches courses in the areas of solid mechanics, dynamics, control systems and robotics. She is an associate fellow of AIAA and a member of IEEE and ASME. Kate HowellsLike many of The Planetary Society’s members, Kate’s interest in space exploration was inspired by the work of Carl Sagan. After reading Cosmos and tearing through the television series, she was hooked. While finishing her degree in Experimental Psychology at McGill University in Montreal, Kate took elective courses in planetary science and physics, always hungry for more insight into the reality around her. After graduating, she followed this interest and enrolled in a MA in Space Policy at George Washington University, focusing her work on public engagement and education. She put this degree on hold after one year, coming on board with The Planetary Society to coordinate the expansion of its work in her native Canada. As National Coordinator, Kate works to connect The Planetary Society with Canadian universities, clubs, science centers and other organizations whose outreach and research efforts complement those of the Society. She is building a team of Outreach Coordinators across the country, and developing partnerships with the space societies already active in Canada. 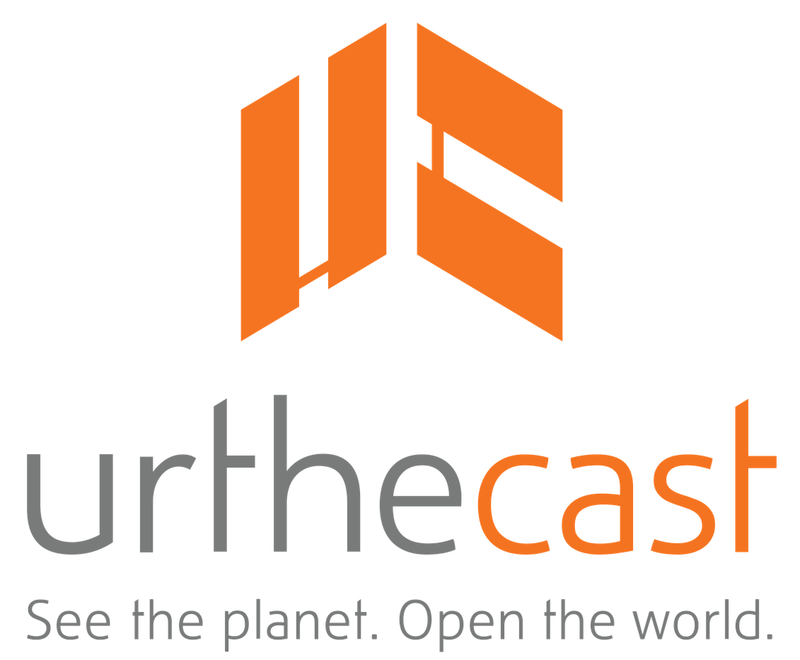 Above all else, her goal is to expand membership in Canada, building a strong community of Canadians engaged in the adventure of space exploration. Kate also works with The Planetary Society as Volunteer Network Manager. In this role she engages with active Outreach Coordinators, creates tools and resources to support their work and seeks opportunities to grow the Global Volunteer Network. Maj Keith Fugger joined the Canadian Armed Forces in 1996 as an Air Combat Systems Officer (formerly known as Air Navigator). He graduated from the Royal Military College of Canada in 2000 with a BSc in Space Science. 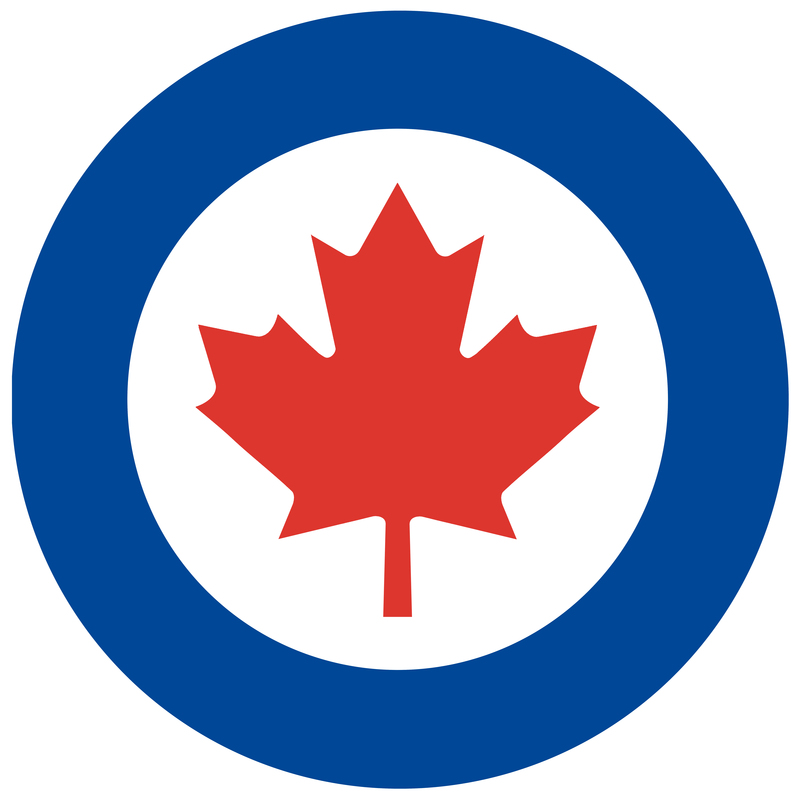 He obtained his Navigator Wings in 2001 at 1 Canadian Forces Flying Training School (formerly known as the Canadian Forces Air Navigation School) at 17 Wing Winnipeg, MB, and was posted to 405 Maritime Patrol Squadron at 14 Wing Greenwood, NS as an Acoustic Sensor Officer on the CP140 Aurora. In 2003, he deployed to the Middle East during Operation Apollo conducting long range surface patrols as part of Canada’s commitment to UN Resolutions to interdict fleeing Al-Qaeda leadership and illegal oil smuggling. In 2004 he deployed to Kabul, Afghanistan with the 5e Régiment, an artillery regiment from Valcartier, QC, to command unmanned aerial vehicles during Operation Athena. Upon his return, Maj Fugger completed his Tactical Navigator training and participated in numerous domestic and international operations and exercises. In 2008, he was selected to attend the Aerospace System Course at the Canadian Forces School of Aerospace Studies at 17 Wing Winnipeg and was posted to the Maritime Proving and Evaluation Unit at 14 Wing Greenwood in 2009 to conduct Operational Test and Evaluation on the CP140 Aurora. In 2010, he was posted to the Aerospace Engineering Test Establishment (AETE) at 4 Wing Cold Lake, AB where he conducted Developmental and Compliance Testing on the upgraded Block III CP140M Aurora mission systems. In 2012, he was posted to 8 Wing Trenton as part of a newly-formed AETE Detachment to conduct testing on RCAF Transport aircraft. He spent 2 years leading a test team comprised of Airbus, Canadian industry, Transport Canada and other RCAF personnel during the CC150 Polaris avionics upgrade and certification programs. In June 2014, he was posted to the Canadian Forces Aerospace Warfare Centre in Trenton as part of the Concept Development team working on the RCAF Emerging Skies Initiative. Larry Reeves has a B.Sc. (Victoria) and M.Sc. (Queen’s) in Computer Science. After working for six years as a software, robotics, and distance-education research assistant at the Royal Military College of Canada, Larry completed a Master of Space Studies degree at the International Space University in Strasbourg, France. Following ISU, Larry worked for 12 years at MDA in Vancouver in the Space Missions Group with several different mission responsibilities (launch contract management; orbit, propulsion, power, coverage modelling) for a number of spacecraft missions (RADARSAT-2, RapidEye, CASSIOPE, Sapphire). In 2009, Larry created Geocentrix Technologies, to begin working as a consultant to other space-mission and high-tech companies. Larry is also the lead manager/organiser of the Canadian Satellite Design Challenge, a Canada-wide competition for teams of university students to design and build a small “cube-sat” satellite. Larry is married with two young daughters, and if he has any spare time he enjoys golf, cycling, scuba diving, hiking, and playing drums. He is also a Director of the Artificial Reef Society of British Columbia, a group which has used six ships and one Boeing 737 airplane in the coastal waters of B.C. to create environmentally- and economically-sustainable “artificial reefs”. Dr. Steve Ulrich is Director of the Spacecraft Robotics and Control Laboratory and Assistant Professor in the Department of Mechanical and Aerospace Engineering at Carleton University. He received his B.Eng. (2004) and M.A.Sc. (2006) in electrical engineering from the Université de Sherbrooke, and his Ph.D. (2012) in aerospace engineering from Carleton University. In 2007, he completed the International Space University’s Space Studies Program at the Beijing University of Aeronautics and Astronautics. From 2006 to 2008, he was Spacecraft GN&C Research Engineer with NGC Aerospace Ltd, where he led the development of an innovative attitude perturbation estimation system for the European Space Agency’s PROBA-2 spacecraft. In 2013, he was Postdoctoral Associate with the Space Systems Laboratory at the Massachusetts Institute of Technology (MIT), where he namely contributed to the development and experimental validation of vision-based relative navigation and control systems for the SPHERES nanosatellites aboard the International Space Station during Expeditions 34 and 35 Dr. Ulrich’s research interests are in the broad area of autonomous spacecraft GN&C systems, and space robotics and automation, and he has published over 50 papers in peer-reviewed journals and conference proceedings. Dr. Ulrich is a member of AIAA, IEEE, CASI, and a registered Professional Engineer in Ontario. He is also a regular member of the AIAA Guidance, Navigation, and Control Technical Committee. Dr. Suong V. Hoa is a professor at the Department of Mechanical and Industrial Engineering at Concordia University, Montreal, Quebec, Canada. He was the chair of the department from 1994 till 2000, and again from 2003 till 2006. He is a member of the Canadian Academy of Engineering.Dr. Hoa has been working on composite materials and structures since 1979. He has worked on different aspects of composites such as stress analysis, finite element analysis, polymer nano composites, design of composites, and recently on automated composites manufacturing. Dr. Hoa has more than 500 articles published in scientific journals and conference proceedings. He has worked on many industrially related projects on composites. He recently was awarded the Natural Sciences and Engineering Research Council of Canada Industrial Research Chair on Automated Composites Manufacturing, supported by Bombardier Aerospace, Bell Helicopter Textron Canada Ltd., and Delastek Ltd.
Vidas “Whidy” Kiskunas graduated in 1979 from Ryerson Polytechnical Institute with a diploma in Aerospace Engineering Technology. Upon graduation, he began his career as a Junior Weights Analyst at McDonnell Douglas Canada Ltd working on major components for the DC-9, MD80, DC-10, MD11, and the F18. He left McDonnell Douglas in 1990 to pursue a career working on the complete aircraft platform at Bombardier/de Havilland. There he supported the Dash series aircraft, Lear45 wing and the Global Express and Global 5000 programs. In 2001, he left Bombardier to become the Senior Weight Analyst for Goodrich Landing Gear which is currently known as UTC Aerospace Systems. He has supported all their business, commercial and military landing gear systems. In all, Whidy has spent the last 35 years working in the field of Mass Properties Engineering. He has also been an active member of the Society of Allied Weight Engineers (SAWE) for over 30 years. During that time he has co-authored a paper, given presentations, received two President Awards, and co-chaired numerous sessions. He is currently serving on the SAWE International Technical Committee. Whidy is one of the founding members of the SAWE Canada Chapter where he has held every executive position. Zachary Fejes has been dreaming of space since childhood, and has been working since then to get there. He is currently the Team Lead for Project Voyager, a project centered on the creation of interplanetary and interstellar mission planning software.Zach’s interests in space technologies are wide: from astronautics, to astrophysics, to novel propulsion systems. As a personal goal, he plans to get a FTL propulsion system up and running before the decade is out, and to become an astronaut. He strongly believes that Space by necessity must be opened up and presented to all of humanity as a new frontier for both universal, and self, discovery, and that the only method of accomplishing this is through continued development, and use, of the enabling technologies. He’s always looking to meet new people and learn from their ideas, experience, and dreams. 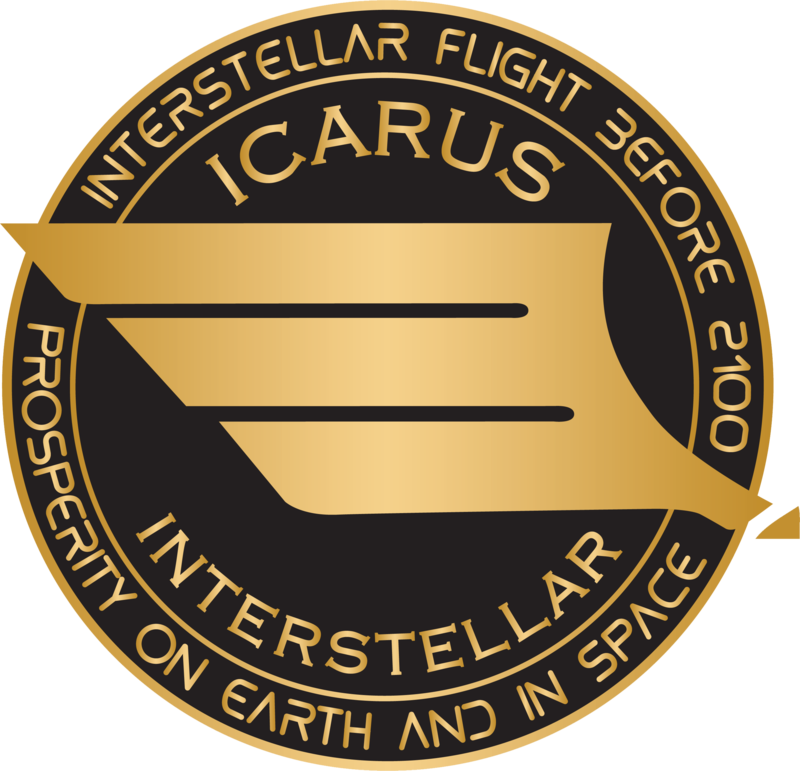 If you’re interested in chatting, he can be contacted at zfejes@icarusinterstellar.org.